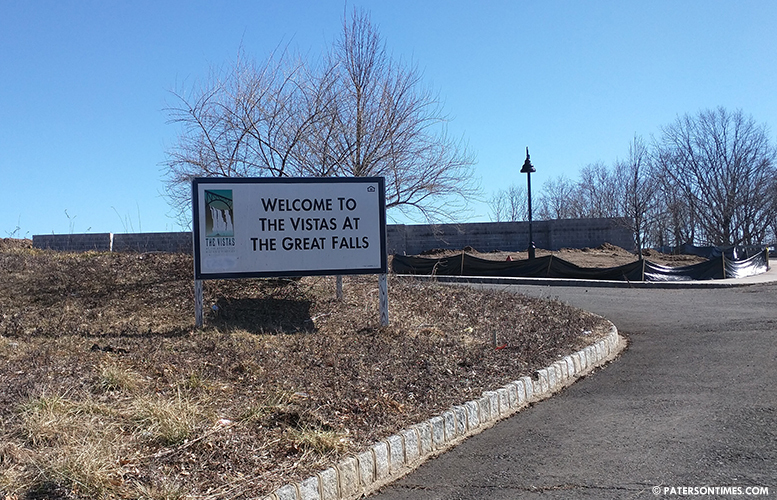 The city is seeking $1.3 million in grant and loan funding from the state to develop the former Vistas site into a park. Municipal officials are applying for $975,000 in Green Acres grant and $325,000 in zero-percent interest loan funding from the New Jersey Department of Environmental Protection (DEP). Funds will be used to implement one of four concepts outlined in a 120-page master plan for the Vista Park. The fourth concept called “play + performance room” was selected through public input last year. The fourth concept includes a visitor center and restroom, outdoor classroom or garden lab, picnic platforms and stages, playground, play area with slides and climbing, observation deck with binoculars, observation point, hiking path with timber steps, picnic area, loop trail, access bridge, and performance stage, according to details in a master plan that was funded by the National Park Service. 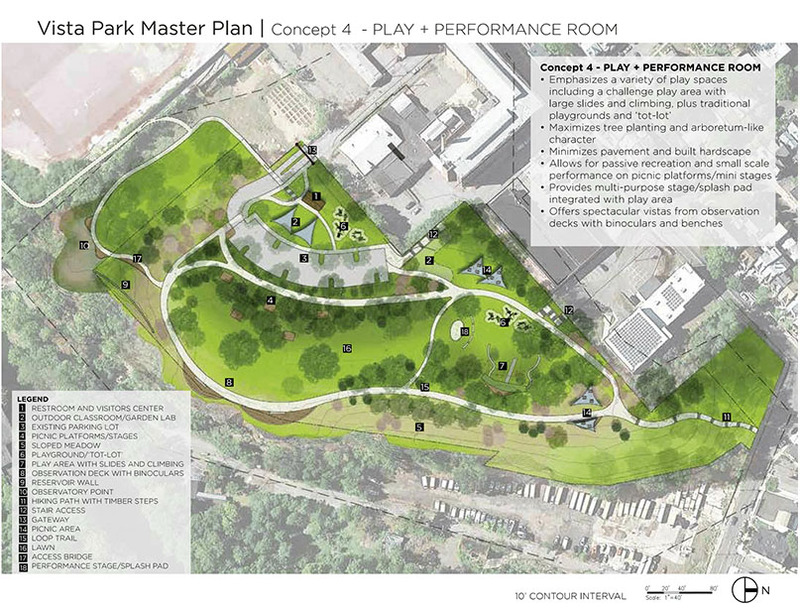 Vista Park Concept 4 – PLAY + PERFORMANCE ROOM from the master plan. Vista Park falls outside the boundaries of the Great Falls National Historical Park. The 8.5-acre land is owned by the state government which saved the land from an unsightly housing development by buying it for $5.7 million in 2017. Municipal officials subsequently entered into an use agreement to improve, maintain, and use the park. The new park is the biggest parcel of open space to open in the City of Paterson in 100 years, according to city records. The City Council approved a measure to apply for grant funding last Tuesday. Council members approved the measure in a 6-2 vote. William McKoy, 3rd Ward councilman, was not present during the vote. Council members Michael Jackson and Flavio Rivera voted against. Jackson suggested there was no community input involved in the project. However, municipal officials said community input was collected and used to pick the fourth concept in the master plan. “This grant requires a match that we haven’t identified at this moment,” said Rivera in voting against the measure. The $975,000 grant requires the city to match $325,000. Economic development director Michael Powell said the city can borrow the match from the state or it will use another grant to provide the match. In September, the city will apply for $750,000 in National Park Service Land and Water Conservation grant.